Against the backdrop of cooperation between the UK and India in cyber security, City University London’s Professor of Security Engineering, Professor Muttukrishnan Rajarajan, outlines some of his research activities linking City to the subcontinent. The state visit of Indian Prime Minister Narendra Modi to the UK in November 2015, was an opportunity for the two countries to strengthen their partnerships in a number of key areas of mutual interest. One of these areas is in cyber and digital technology, consistent with India’s role as a major global player in IT research and development and in business process outsourcing (BPO) across a wide variety of sectors. Against this backdrop, City’s Professor of Security Engineering, Professor Muttukrishnan Rajarajan, has for several years been at the forefront of partnerships linking his research with Indian academic institutions and at high levels of government. Since 2013, he has been an external advisor to the Mumbai-based Centre for Development of Advanced Computing (CDAC) research laboratories in the area of supervisory control and data acquisition (SCADA) security. CDAC carries out world class research in developing indigenous technologies to protect India’s critical national infrastructure (CNI). In his advisory capacity, Professor Rajarajan conducts regular meetings and tutorials via Skype which keep Indian teams around the country informed about state-of-the-art security technologies in wireless and mobile environments. Professor Rajarajan has also been a member of the TRUMP research team funded by the Engineering and Physical Sciences Research Council (EPSRC). TRUMP is an acronym for “A Trusted Mobile Platform for the Self-Management of Chronic Illness in Rural Areas”. The goal of this project is to explore the potential of mobile technologies in the development of a platform to support chronic disease management by simultaneously considering the needs of rural areas of India and the UK. Trust in such systems is vital if they are be accepted by patients and health workers alike, and this issue will form a central part of the development of the platform. Two common chronic conditions, diabetes and depression, have been chosen as exemplars for the development of the platform and its evaluation. Professor Rajarajan has conducted a number of collaborative projects with leading Indian academics in the area of malware detection and cloud security. 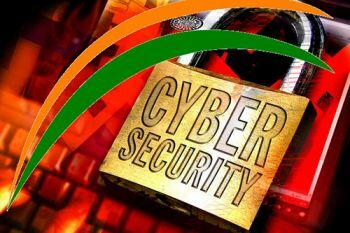 Through a Royal Academy of Engineering (RAEng) capacity building scheme collaboration involving City and the Birla Institute of Technology and Science, Pilani (BITS-Pilani) in the area of cyber security training and education has been recently initiated. In March 2016, City will welcome Senior Professor R.K. Shyamasundar, IEEE and JC Bose National Fellow at Indian Institute of Technology, Bombay, India. Business Process Outsourcing (BPO) is the contracting of a specific business task, such as payroll, to a third-party service provider. Usually, BPO is implemented as a cost-saving measure for tasks that a company requires but does not depend upon to maintain their position in the marketplace. BPO is often divided into two categories: back office outsourcing which includes internal business functions such as billing or purchasing, and front office outsourcing which includes customer-related services such as marketing or tech support.